1. 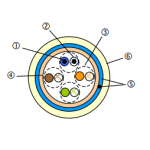 Diameter of conductor : 24AWG2. 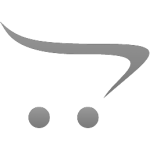 Insulation : Pe 1,10 mm3. Cable assembly : pair | Number of pairs: 44. Cross..
Possible applications High speed data transmission cables are designed for backbone distribution local computer networks. These cables a..
Possible applications High speed data transmission cables are designed for horizontal cable distribution local computer networks. 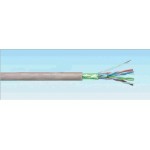 These ..
Cable Internal 4pr FTP CAT5E PVC 500m/Roll - Grey HCS F/UTP Cat5e 500m. 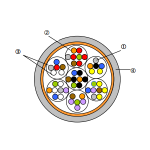 Cable length: 500m, Cable standard: Cat5e, Cable shielding: F/UTP (FTP) ..
Possible applications High speed data transmission cables are designed for horizontal cable distribution local computer networks. These cab..
HCS S/FTP Cat7 500mLong product name HCS S/FTP Cat7 500m:Category 7+ S/FTP 100 Ohm Horizontal LAN Cables 500mShort summary description HCS S/FTP Cat7 .. 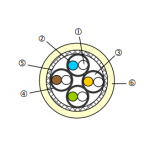 Applications 10 Gigabit high speed data transmission cables are designed for horizontal cable distribution local computer networks. These ca.. Diameter of conductor : 24AWG Insulation : Pe 1,10 mm Cable assembly : pair | Number of pairs: 4 Cross separator Synthetic water-repellent tap..
Possible applications High speed data transmission cables are designed for horizontal cable distribution local computer networks. ..